A South Florida police department removed a 750-pound alligator from a local park Thursday. 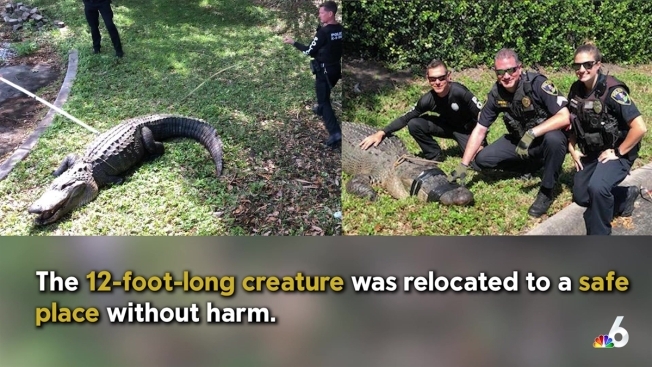 The Jupiter Police Department removed the gargantuan creature from the Jupiter Commerce Park area, according to the department’s Facebook page. The 12-foot alligator was relocated to a safe place without harm. Photos of officers wrangling the gator and relocating it were shared more than 800 times on Facebook. 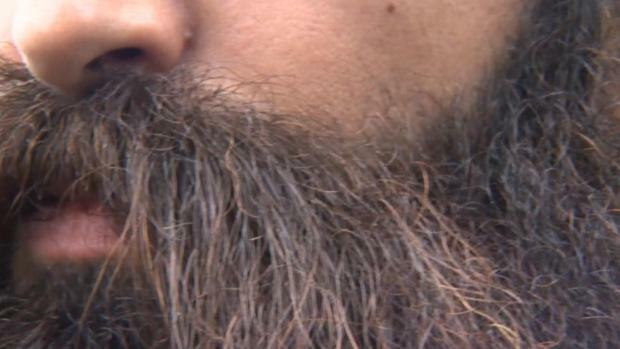 The post has amassed hundreds of comments and Facebook "reactions." When you live in the sweltering swampland that is South Florida, alligator sightings like these are not uncommon. The scaly green reptiles also call this sultry, steaming marshland home – and they aren’t going anywhere anytime soon. Alligator sightings and encounters have become so common, the Florida Fish and Wildlife Conservation Commission issues a guide explaining how to coexist with the creatures. It details everything from when alligators are most active, to what to do if you’re bitten. “Alligators have inhabited Florida's marshes, swamps, rivers and lakes for many centuries, and are found in all 67 counties,” the organization says. Alligators, the FWC says, are most active from dusk to dawn, so swimming at night (particularly in areas near fresh or brackish water) is not a good idea. The informative brochure also includes general tips, like keeping your pets away from gators and not feeding the animals. If you are bitten, the FWC says to seek medical attention right away. According to the Smithsonian’s National Zoo and Conservation Biology Institute, the average size of a male alligator is 11.2 feet. The reptiles can weigh nearly have a ton, or 1,000 pounds. Alligator mating season starts in April and runs until June.